ShearComfort's Dog Seat Covers are the perfect solution to seat damage and mess from hair, dirt, and water when traveling with your favorite pets. Our pet seat covers are designed to ensure maximum protection of your original upholstery so your dogs can't chew or tear their way through your seats. Our Custom Dog Seat Protectors are designed to fit your vehicle perfectly. Our universal options provide great protection and fits many vehicles. Either way, this means that there is no need to remove the seat covers when they're wet or dirty since dirt, drool, and water will not seep through to your seats. Simply wipe them clean and you're good to go. There may be the temptation to go for the cheaper universal option when shopping for pet seat covers. Find out why going cheap, may not be the best choice for you and your pup. We've got you covered if you're shopping for the pet seat covers for you and your dog. Face it, when driving with your pets, you're bringing more than just them along for the ride! Custom Dog Car Seat Covers are the best way to protect your interior. Repairing damaged seats can be incredibly expensive and Universal-Fit products often don't prevent all dirt, liquid, and other damage-causing elements from getting into your original upholstery. Our Custom Pet Seat Protectors will give you peace of mind knowing your investment is protected. Since our Pet Seat Covers are waterproof and stain-resistant, there is no need to remove them for washing. 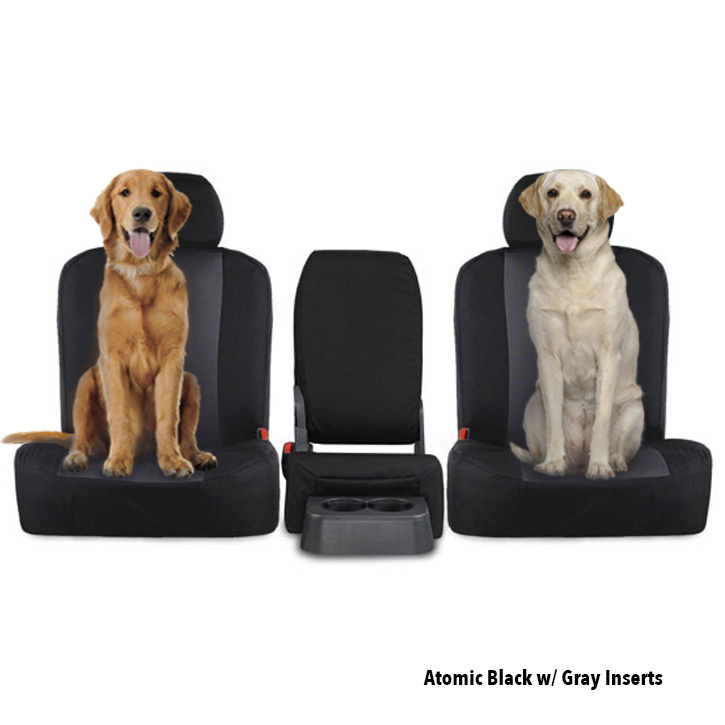 Unlike many other universal products on the market, we offer high quality, affordable pet seat covers. 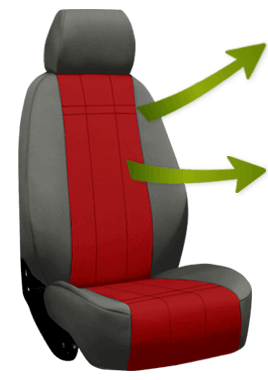 The universal fit will provide protection for many cars, trucks, or SUVs with different sizes of seats. Using waterproof and tear resistant material, you'll keep your original upholstery damage free and clean when your dog travels with you. If you're looking to save a bit of money but still protect your vehicle, our universal pet seat covers are great fit for you!